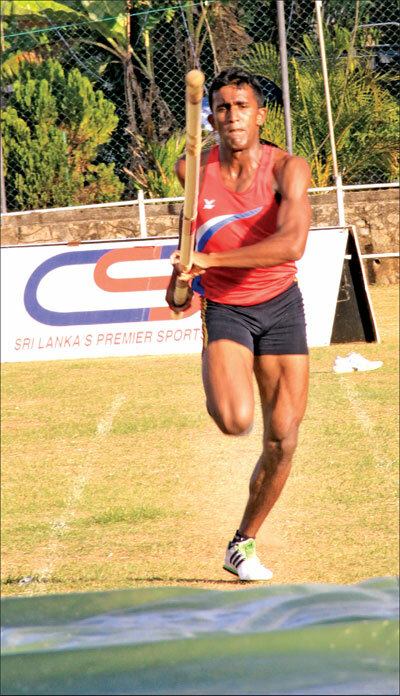 Ishara Sandaruwan of A Ratnayake College Walala, bettered his own record in the under 19 pole vault. 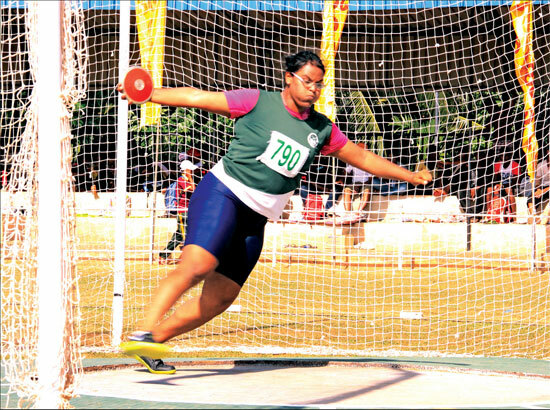 Two new meet records were established on the fourth day of All island Schools Athletic Championships. Eleven new meet records have been set up so far with thirty more finals to be worked of today. Royal College, once again showed their supremacy when they trounced their traditional rivals S.Thomas’ College, Mount Lavinia by five goals to one in the 21st Dr R.L.Hayman memorial trophy match played at Sugathasa Stadium Pool Complex yesterday. Benedictine Yohan Zoysa grabbed four wickets for 30 runs to restrict Ananda College for 169 in the first innings on the first day of their inter-school First XI cricket match at the Ananda College grounds on Friday.